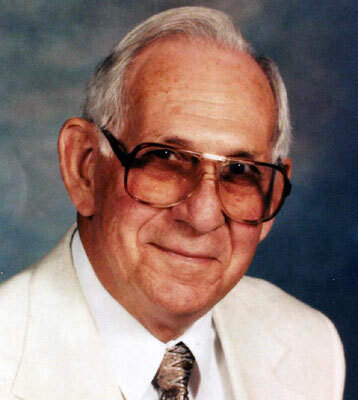 NORTH LIMA – Wilbert “Bill” Matthew Beacham, a life-long resident of Youngstown and Austintown, passed away on Nov. 15, 2013, at the age of 88, at his home in North Lima. He was born Jan. 4, 1925, in Youngstown, to Margaret Adele (Holt) and William Walter Beacham, and married to Joyce Elaine Ambrose in 1952. This is a man that will be remembered for his quick wit, humor, intelligence and helpful ways. He will be missed by many, especially by sons, William Beacham of Youngstown and John (Olga) Beacham of Austintown; daughter Karen (David) Cooper of Atlanta; six grandchildren, Jessica (Brian) Rucker, David, Jonathan and Matthew Cooper, and Kait and Emma Beacham; three great-grandchildren, Abigail, Briana and Brian; and his many Holt cousins, whom he adored his entire life. Bill was a graduate of North High School, previously Scienceville High School. Soon after, he willingly stepped into World War II and was honorably discharged from service as a member of U.S. Army Air Corps, serving 1943 to 1947. Those that knew Bill Beacham were aware of his undying respect of the American flag and the USA. He last served with the 317th Troop Carrier Group in Japan until separation as 1st Lieutenant. As a pilot, his fondest memories were of the Wild Blue Yonder while flying in the Mainland United States, Hawaii, Midway Island, New Guinea, Philippines, Okinawa Island, Japan and Korea. He went on to graduate from University of Pittsburgh with a B.S. in Civil Engineering in 1950. While there he was inducted into Sigma Tau Honorary Engineering Society. He met his bride, Elaine, in Pittsburgh. Various employers began with the Ohio Department of Transportation with the most recent being Butler Construction, followed by Howells and Baird Inc. in Salem. Mr. Beacham has always been active in his community. He began service in 1955 with Austintown Little League Baseball, serving in many volunteer capacities including leading the construction of baseball fields at Raccoon Road, serving on the board and finally calling his last fundraiser bingo game in 1993. He was a member of American Legion Post 301, serving as Post Commander 1991 to 1993, and Mahoning County Commander 1994. He was a 32nd Degree Mason with the Sulgrave Lodge No. 0696. Most recently, he served as Residents Council President at Glenellen Senior Living Community in North Lima. More than anything, Bill shared his deep faith along with his lifelong love for the people and the history of the Trinity United Methodist Church, where he had been a member since he was a young man. Memorial contributions may be made to Trinity Trustee Building Fund at the Trinity UMC, 30 Front St., Youngstown, OH 44503. Friends will be welcome to call from 6 to 8 p.m. Monday, Nov. 18, at the Lane Family Funeral Homes, Austintown Chapel, and also before the 10 a.m. service on Tuesday, Nov. 19, at the Trinity United Methodist Church, 30 W. Front St., Youngstown, OH, with the Rev. Jerry Krueger officiating. Please share your memories of Wilbert.